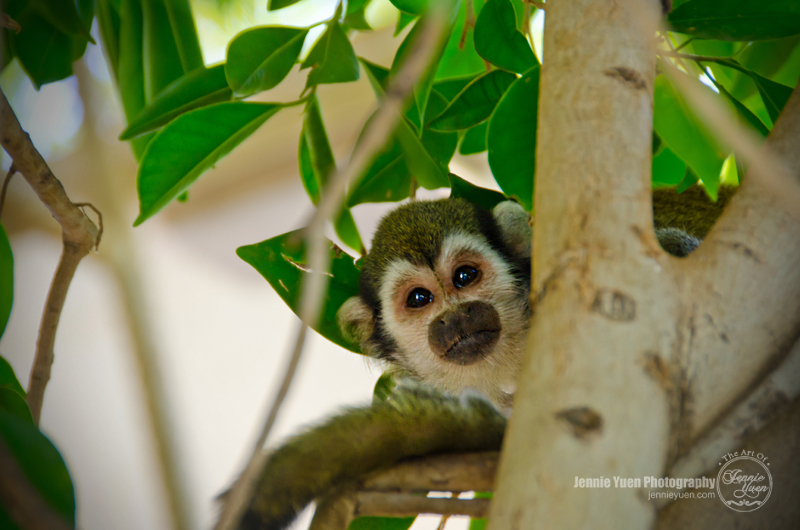 This little monkey is known as the squirrel monkey. He was playing peek-a-book with me while I took his photograph. This is a Fennec Fox. The photograph was taken during my trip to Phoenix, Arizona. 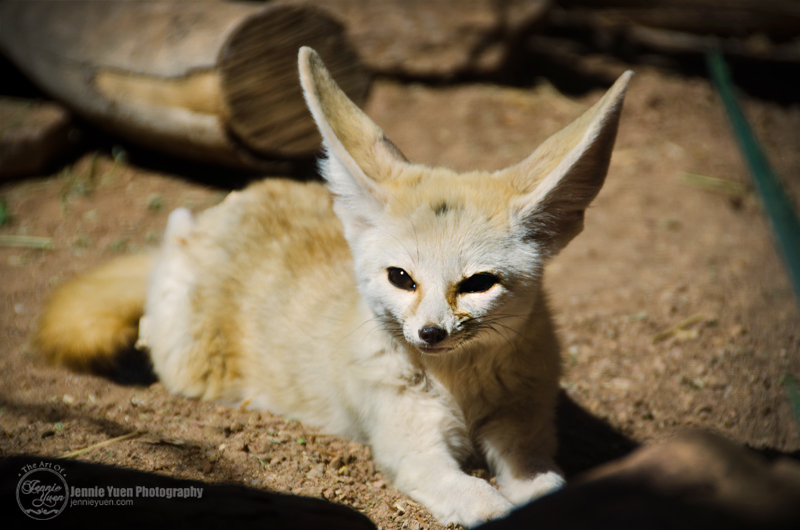 Fennec Foxes are nocturnal animals. It is known for its large ears which serve to dissipate or disperse heat. It's amazing how they are able to adapt to high-temperature and low-water in desert environments. Welcome to the Julienne Peeler Giveaway Event! Are you a total foodie and just have to have all of the coolest kitchen tools you can find? Well, you don't want to leave this nifty little gadget out of your foodie tool box! This awesome julienne peeler not only peels perfect julienne cut veggies... but it also slices the most perfect round slices of cucumber and potato slices as well! Check out Andrea’s video demonstration and review to see the proof. 10 entrants will win a Customhouse Julienne Peeler (up to $320 total value)! Contest is open to US only, 18+ (ends September 8th, 2014 at 11:59pm EST). All entries unless otherwise noted are optional. Please enter the giveaway form below. Winners will have 48 hours to respond or a new winner will be chosen. Good luck! Did you know you can shop, earn, and donate all at once? You are already shopping online or on your mobile devices, so why not donate to a good cause while doing so. iMyne allows you to do just that. Many of the retailers you already know and love actually offer money back as an incentive to shop their sites, but these incentives are rarely cashed in on. 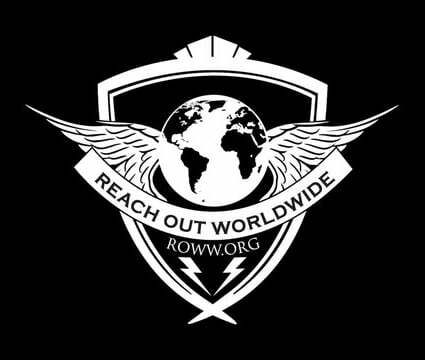 iMyne works with these sites to send those savings back to you as well as your favorite charitable cause. iMyne is also very easy to use. Most cash back websites are hard to navigate and are complicated, iMyne is different. Once you are signed up with iMyne you simply click on the iMyne activation button that will be in your toolbar, as a plugin. 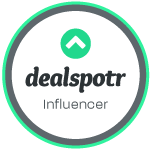 If the button is green then you are ready to shop and earn! If you're on the go and using your mobile device such as your smart phone or tablet, you simply just use the SHOP tab located on iMyne's site. Another great incentive that iMyne offers is referral cash. You can invite all of your friends through Facebook, Twitter or email to join iMyne and you will get up to $1 referral cash back for every $10 they earn. Your friends will then sign up their friends and you can earn even more. The more friends you have in your iMyne network, the more money you will earn for yourself and your charity! Any cash back that you earn will automatically be added to your account, log in to view your funds and keep track, or you can cash out. You can always send your funds to the charity of your choice as well. There are no forms to mail, no points to redeem and no fees. You earn rewards for you and your cause in real cash, automatically. Sign-up for iMyne and start earning your rewards now. ONE (1) lucky winner will receive a $1000 Back To School Cash from iMyne! This giveaway is organized by: Social Swayy ♥ with special guest: Mom to Bed by 8. Contest is open to US only, 18+ (ends September 10th, 2014 at 11:59pm EST). All entries unless otherwise noted are optional. Please enter the giveaway form below. Winners will have 48 hours to respond or a new winner will be chosen. Good luck! Welcome to the VacuPractor Giveaway! Crafty Spices has some exciting news about getting rid of lower back pain. She has been using the VacuPractor and has found great results. The thing that she is mostly happy about is that lower back pain now can be reduced and even eliminated without using medication. If you do suffer from lower back pain or know someone who does you may want to read her full review here, and you may want to sign up for the giveaway. This giveaway will End September 10th, it is open to all U.S. residents age 18 and over, void where prohibited. ONE (1) lucky winner will win a Customhouse Julienne Peeler (up to $320 total value)! Contest is open to US only, 18+ (ends September 10th, 2014 at 11:59pm EST). All entries unless otherwise noted are optional. Please enter the giveaway form below. Winners will have 48 hours to respond or a new winner will be chosen. Good luck! Disclosure: Jay @Crafty Spices did receive a product for free and is sharing her opinion with all of us. Her opinion may differ from ours and yours. I received no compensation nor products for this promotion. My opinions are my own and may differ from those of other consumers. "Jen's Blog of Random Thoughts" is not responsible for sponsor prize shipment. This giveaway is not affiliated with Facebook, Pinterest, or Twitter. Singer, Ally Brooke Hernandez of Fifth Harmony wore designer NINES brand MUSE jacket in black to the 2014 Video Music Awards on August 24th in Los Angeles while accepting "Artist to Watch" moonman award. Nines is the creation of designer Alana Hale. Fresh out of design school in 2008, she launched a couture inspired concept line creating one of-a-kind pieces for celebrity stylists and fashion editorials. Craving a more personal avenue, Alana sought to bridge the gap between her avant-garde design roots and laidback LA lifestyle. Ushering in a new era of effortless luxe, Nines was born. Attention bloggers: This is a free/paid blogger event hosted by Reviews 411 & Up All Night Blogging and co-hosted by The Fully Caffeinated Mama. Link is free when you post about the giveaway on your blog and a thank-you for participating in the event. 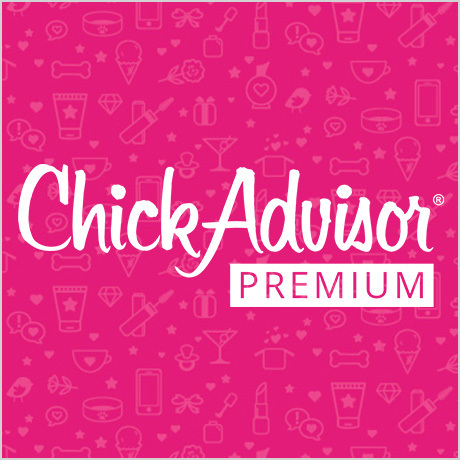 Attention bloggers: This is a free/paid blogger event hosted by Deliciously Savvy. Link is free when you post about the giveaway on your blog and a thank-you for participating in the event. 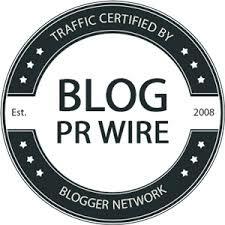 Attention bloggers: This is a free/paid blogger event hosted by Blogger Media Group & Ciera Nitkowski. Link is free when you post about the giveaway on your blog and a thank-you for participating in the event. * FREE link on entry form (Twitter only) with announcement post (or pay $5 waiver fee). * Please feel free to mention Jennie from "The Art of Jennie Yuen" Blog referred you! Thanks much! * Co-host spots are available for $5 each (includes 3 links on the giveaway event and a back link to your blog on the giveaway page. It also gives you the privilege to purchase additional links for just $1 each). Everyone is finally showing off some colorful summer style at barbeque parties, poolside, and at the beach. For creative and easy DIY mani/pedi designs to match, new Hot Designs dual-sided nail art pens are the perfect tool! I love getting creative and even enjoy having fun with nail art design. It's been a while since I've posted about it, but I recently had a chance to try out the Hot Designs Nail Art Pens. I received two sets: the basic beauty colors and the glitz & glam colors. Hot Designs nail art pens are affordable and you can create fun and unique designs right at home. The package comes with a design guide that gives you some ideas and inspiration to create your own. My little cousin came over and we did our nails together. I helped her with the designs. Using the nail art pens for the first time was actually quite easy. It's a brush and a nail pen with two colors. One of the nail polish didn't come out of the pen tip so I used one of the included pins to clean it out. Pictured below, I created my own simple design using red polish with white pen tip. Since I`m right-handed, drawing with the left hand was a little challenging. Base coat in red with white stripes & dots on top near the tip of the nails. For my little kid cousin's nails, she wanted the "cheetah" design she saw in the design guide pamphlet. I used silver as the base coat, then dotted with pink and black to outline the dots. She has little nails, so I took my time with the dotting. WHERE TO BUY: You can get Hot Designs Nail Art Pens at Walmart, As-Seen-On-TV stores, or online at www.gethotlooks.com (US only). Disclosure: I received the above mentioned product at no charge from the PR Firm/Company in exchange of my review in this post. Any expressed opinions are my own and personal thoughts. No other compensation was given. Another year of Revscene's annual summer meet has just happened the past weekend. It was great weather and a great turnout. Oh, and did I mention this is a first that this event didn't happen during our anniversary weekend? lol! I love seeing all these new and amazing tuners. I know I missed a lot of other cars either because the drivers left early or came later. More exclusive photos can been seen on my Facebook Page Gallery. If you see your car, feel free to comment and/or tag your photo. Revscene also had set up their booth and sold some of their merchandise. Gotta love those colorful landyards! And here is our little 5-year-old junior photographer taking some photos of the cars.